Leigh Miller, PhD, is Director of Academic and Public Programs at Maitripa College. She completed a PhD from Emory University with the dissertation Contemporary Tibetan Art and Cultural Sustainability, based on research conducted with artists in Lhasa over a ten year period, including a year and a half of ethnographic field work in Tibet as a Fulbright scholar. Leigh has been a curator of contemporary Tibetan art and writes catalog essays for international exhibitions. 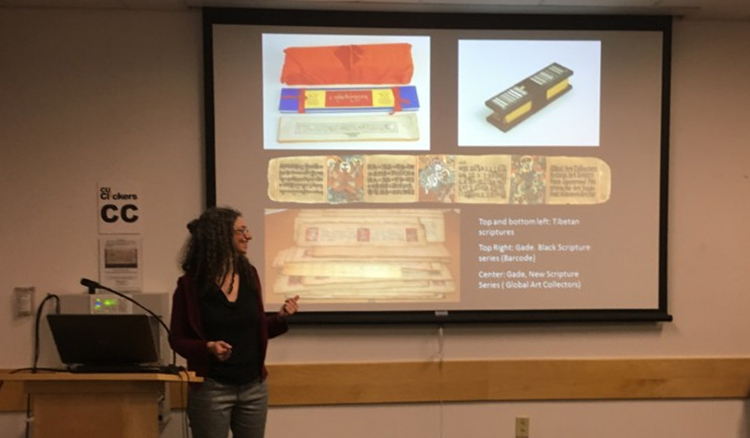 She has presented at the conferences of the American Academy of Religion, the International Association of Tibetan Studies, the International Association of Buddhist Studies, and the American Anthropological Association. 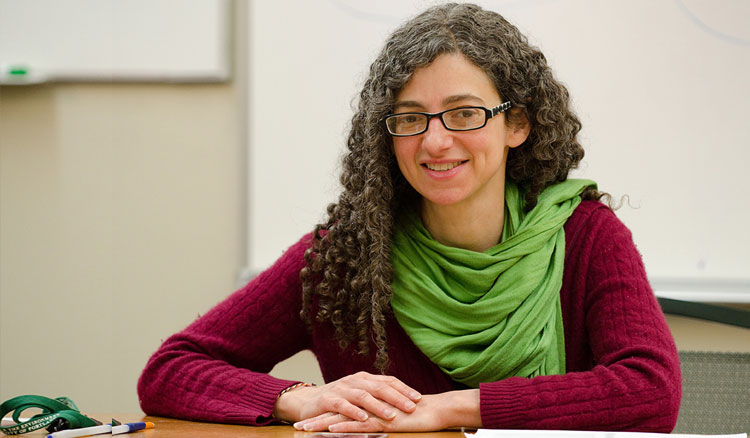 She enjoys an interdisciplinary approach to teaching, fostering students’ connections across their curricula, in society, and their own lives. 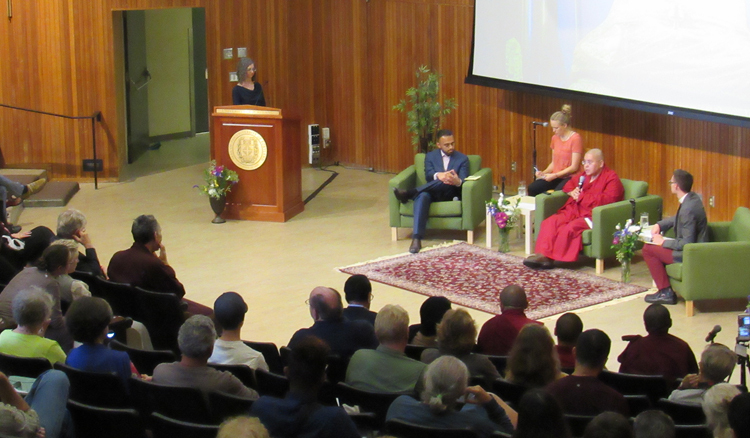 Leigh began her study of Tibetan Buddhism, language, history and culture in 1996, when she attended teachings by His Holiness the Dalai Lama and Geshe Sopa before living a year in Nepal, including a lamrim retreat at Kopan Monastery. Between 1996-2006, she studied, worked, and traveled in Tibetan communities in Nepal, India, and in the three regions of Tibet for a total over more than three years. 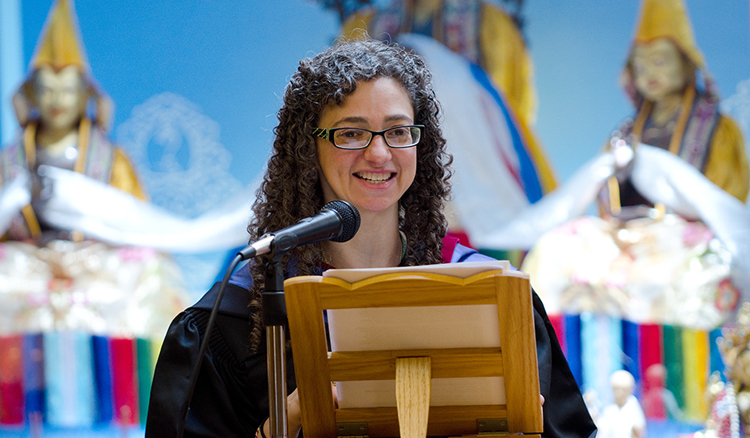 Leigh previously worked for Drepung Loseling Monastery, Inc. in Atlanta, and is currently Director of Academic and Public Programs at Maitripa College, where she continues to study and practice BuddhaDharma. Miller, Leigh. 2016. “Mickey Mouse in Tibet.” In Jeffrey Samuels, Figures of Buddhist Modernity in Asia. Honolulu: University of Hawaii Press. Miller, Leigh. 2016. “The Look of Tibet without Religion.” in Himalaya. Special Issue: The Secular in the Himalayas. Edited by Holly Gayley and Nicole Willock. Miller, Leigh. 2015. “Transcending Tibet, Transcending Borders.” in Transcending Tibet: 30 Contemporary Artists Explore What It Means to be Tibetan Today. Edited by Jonathan Wilber. New York: Trace Foundation. Miller, Leigh. 2014. “Contemporary Tibetan Art and Cultural Sustainability in Lhasa, Tibet.” Ph.D. diss., Emory University. Sangster, Leigh Miller. 2012. Memory and Cultural Sustainability in Contemporary Tibetan Art. Asian Art Archive. http://www.aaa.org.hk/Diaaalogue/Details/1136. Sangster, Leigh Miller. 2012. The Work of Art in the Age of Self-Immolation. Cultural Anthropology. http://www.culanth.org/?q=node/543. Sangster, Leigh Miller. 2007. “Inside Out.” In Red Gate Galley, Lhasa: New Art from Tibet. Beijing: Red Gate Gallery. During graduation ceremony in the Jokhang Meditation Hall. Teaching an art history class on Contemporary Tibetan Art and Cultural Sustainability at the University of Colorado, Boulder, 2016.